No business or startup can do without marketing. Without it, the company is sure to go under its own weight. So for entrepreneurs looking to boost their productivity with simple tricks, all one can say is that although there’s no one-size-fits-all, there are tips, tricks and hacks an entrepreneur can deploy to up his or her success rate. You can be part of a startup that’s grown to over 250k unique page views a month and over 300k signups, and you can be on track for your marketing efforts, but the path to that success may not have been too glamorous. You can be riddled with hundreds of failed A/B tests, too many unopened emails, and traffic that didn’t convert. So what’s the trick? Optimize, and optimize again and again. And chances are you still will be optimizing continually trying new things until you can finally get it right. Business growth hacks come in all shapes and sizes, but what works for you and your business is what matters. At the end of the day, it’s up to you and your team to find that perfect combination that can make it or break it for your business. Chances of how you achieve it are as equal for as for anyone else. Boost your content on social media. It’s getting more and trickier for business to get their message across to their target audience. According to some estimates, Facebook displays only 6 percent of a business’ content to their followers. The way around that is to give your content a paid boost. A “boost” button will appear below each post when you hit 100 likes. It’s a very useful technique. So, if you want to boost your posts get Mediacom high-speed Internet and its bundle deals for more savings. If you want really cheap CPMs try Facebook advertising as you can test how efficient your ad campaigns are in real-time. First, try with hundreds of small budget ads changing one element per ad with the power editor “duplicate” tool. With that process, it’ll be easy to understand which ad is working and which isn’t, and it’s not costly. Take advantage of the ones that are delivering, and stop the ones that aren’t. The relevant audience will the lower your cost. Gone are the days when you could add an image with your logo and a headline. You have to pick two things to optimize to lower your Facebook advertising cost, ad quality, and audience. Your ads need to be interesting, visually appealing and be able to pique the user’s interest, invoke an emotion and jolt someone into the call to action. Tweeting about what your company does isn’t enough. You need to engage with the relevant audience. Amplify or spread tweets to new audiences and spread good information to relevant followers. Tweet to entertain or inform your audience. You can even use tweets to curate. Retweeting and adding new content engages your audience. Become a “trusted” listener retweeting information that helps make other people better. Don’t just depend on Google only for pay-per-click advertising. Although Google has the largest ad network, they aren’t the only ones out there. Try Bing. It’s great for search and you can make money with Microsoft Rewards. The other reason is its search results are as good as or better than Google’s. With Single Keyword Ad Groups or SKAGs, you can gain more control and achieve higher performance from your AdWords account. SKAGs can enhance PPC performance because they’ll prevent you from burning your ad budget on irrelevant traffic. And SKAGs aren’t just for AdWords. They work for social (Facebook, Twitter, LinkedIn, etc.) and display networks as well, and they are very easy to implement. SKAGs so vitally important to optimizing your AdWords account because the more relevant your ads are to your target audience, the better your metrics will look to Google. Think about your customers first. What do they want and what value can you provide to them. “They aren’t interested in hearing promotional information from you. What they are most interested in is the value-added information that will help them succeed in what they’re looking for. So, thin of your readers’ needs first and you’ll receive results and audience engagement beyond your imagination. This is often overlooked by entrepreneurs everywhere. Explain your business in one sentence. There should be no exceptions to this rule. Period. When people search for your products and services, you obviously want to appear as high in the search engine rankings as possible because, in the minds of consumers, your ranking is a vote of trust. So what does this mean for your business? It means SEO provides credibility to your business. SEO brings traffic and is one of the best ROIs in advertising. SEO rewards your business faster than traditional forms of offline advertising. SEO provides tremendous customer insight. With Google Analytics you can see what they search, how they search, how they browse, the language they use, the technology they use, the region they live in, the days they are most active, the times of day they are most active, and more. This can be invaluable information as it will help you make more informed decisions about your online and offline business strategies. 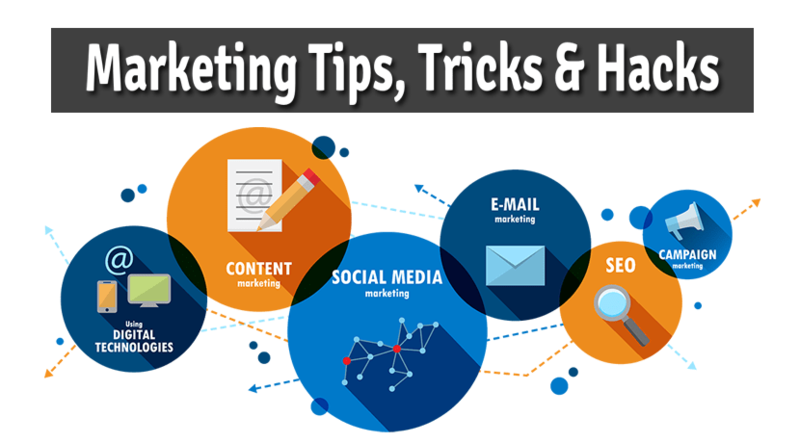 No matter what new tactics or strategies arise in the next few years in the digital marketing world, email marketing is one of the most cost-effective strategies you can employ to engage your target audience. Traditional marketing like TV or print ads and direct mail can be a quite costly email marketing is by far the cheapest option. Don’t ignore mobile. Consumers using mobile devices on a daily basis continue to rise. The number of mobile phone users globally is expected to surpass five billion by the year 2019, according to Statista. Approximately, two-thirds of emails are being read on smartphones or tablets, so email marketing proves to be an effective tactic to reach consumers with mobile devices. Email marketing lends well to automation. By automating your emails you can improve the relevancy and timeliness of your campaigns. Triggers and workflows make it easy to automatically send messages to consumers after they take a specific action. Email marketing makes it easy to personalize the messaging and content to subscribers. Using data that you’ve collected from your subscribers and leads, you can work to provide more personalized and relevant content that your readers are more likely to enjoy and act on. This can improve both your open and click-through rates (CTRs) as well as your overall conversion rates. Segmentation is one effective tactic that you can use to increase the personalization of your messaging and content. By 2020, interactive digital marketing will have a higher response rate among target market groups, suggests Marketing Land. With email marketing, you can provide interactive content to consumers like, for instance, embedded videos, email carousels. Engage your subscribers with interactive content before they visit your site to take action. They can share content you emailed them on their own social media pages. The more integrated your marketing campaigns, the more touch points you’ll create within your target market. Another reason why your business needs email marketing by 2020 is that its metrics are easy to track and measure. With email marketing analytics, you can see which users opened your emails if they clicked any links if they took they converted or not or how many people unsubscribed from your list after opening the email. This is valuable information. It’ll provide insight into making adjustments for improvement in your digital marketing strategy. You can even perform A/B tests to see which emails were more effective in converting. For example, you can change your subject line to see which leads to higher open rates or test different offers to see which influenced the most conversions. In 2020, email marketing is going to be an integral part of digital marketing. Therefore, you cannot ignore the importance of that medium and how your business can use it to grow. You need now is an implementation plan. You can start your successful email marketing campaign set up by growing your email list, type of content you offer your subscribers, and will it convert over time. And if you don’t have an email marketing expert on your team at the moment it doesn’t matter. If you’re a small business or a startup you can partner with an email marketing agency and they can guide you as to how to start your email campaigns. The agency will help you grow your email list and provide quality content that engages and converts your target audience. Most have email marketing pricing designed for small businesses and startups. So, if you need help with implementing your email marketing, contact one today and grow your business. Guest article written by: Nathan John works at Mediacom Internet as Content Editor. He contributes on various online communities and writes about online marketing, technology and entertainment. Good post, you have shared some valuable tips for sharing in social media platform. I was n’t aware how much of space Facebook gives to business pages. i am quite shocked to know that they give you just 6% visibility which I think is quite low. I ll try Facebook ads as suggested by you and see how it goes. social media has become such an important channel for visibility. It connect you with millions of users. You can target your niche audience by choosing your preferred social media platform. face book provides good opportunity to reach out to your audience. Furthermore it comparatively cost efficient. Thank you for sharing, keep up the good work.